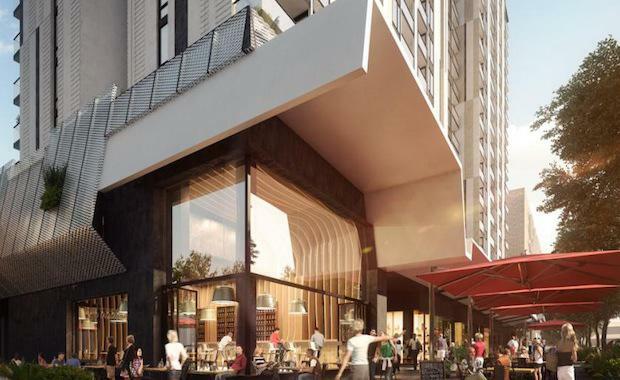 The Yards on Brisbane Showgrounds’ newly-announced King Street, has set a local record selling 160 apartments in four hours. The Yards has 401 residences across 16 and 18 level towers, and 11 terraces. The first release was the 208 apartment tower, North Yard. Designed by award-winning architects, Hayball, The Yards features state-of-the-art kitchens, and floor-plans that maximise breezes, views and natural light and a 2,500 square metre podium retreat with over 20 wellness and entertainment hubs. Sales were launched concurrently in Brisbane and Sydney on the day, with 87 per cent of byers from onshore. Lend Lease Brisbane Showgrounds Project Director, Andrew Hay said the record sales achieved were a testament to how different The Yards is in quality design, amenity, and value for money. Prices ranged between $375,000 for a one bedroom apartment to $702,500 for a two bedroom and two bathroom apartment. The Yards is expected to commence construction mid-2015. The first residential apartments at the showgrounds, The Green, are sold out and currently under construction to be completed by mid-2015.